Join a knowledgeable guide for a fascinating tour beneath the City of Cape Town, exploring tunnels that date back to the 17th century! Starting at the Castle of Good Hope, you'll meet the expert guide leading the tour. Once you're all kitted out in helmets and torches, it'll be time to descend into the depths! Throughout the 2-3 hour tour your guide will regale you with stories of navy ships, Company Gardens, the famous Gentleman’s Walk, and why Cape Town was once known as Little Amsterdam. The freshwater still runs through the tunnels, giving you a realistic idea of what the city once looked like - just make sure you watch your step! The tour is as educational as it is entertaining, and you're guaranteed to come away with a renewed appreciation for the history of this incredible city. The Cape Town Underground Tunnel Tour is great fun for urban explorers, and makes a wonderfully unique experience gift for visitors to the area. Treat a loved one or take a group of friends on a sightseeing tour like no other! Please note the Underground Tours can be done by appointment only and run once a week starting at 17h30 and finishing at 20h00. Participants cannot be more than 60cm wide, and must be able to pull up their own body weight. Unfortunately this tour is not suitable for pregnant women, or those who suffer from claustrophobia, vertigo, respiratory diseases, cardiac-related illnesses, arachnophobia and hypersensitivity to allergens. The tour requires participants to be sure-footed on slippery surfaces, and able to walk bent over for long periods. The average tour duration is 2.5 hours, but can be shorter or longer depending on group size. 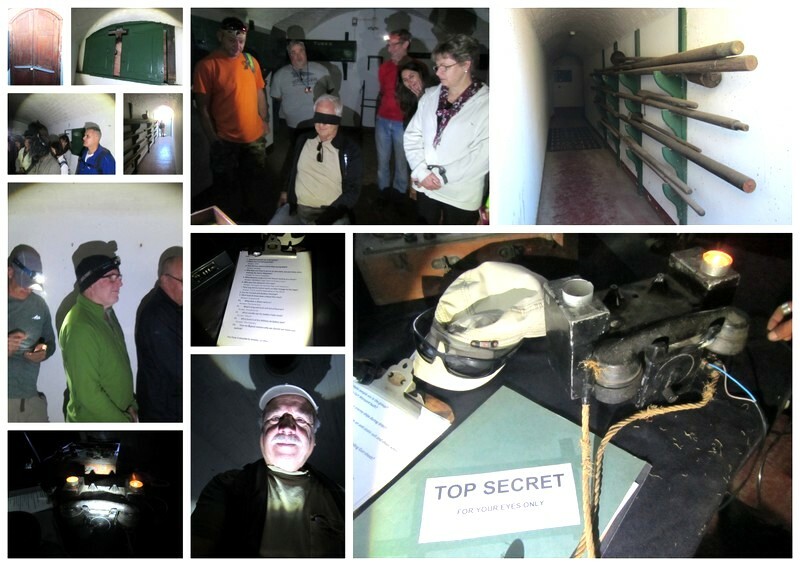 Participants: The Underground Tunnel Tour For Two in Cape Town is for 2 participants. This is a private tour for 2-4 people. Helmets are provided and must be worn throughout the tour. Participants must bring their own torch, or one can be purchased from the tour operator for R100. Please wear gumboots or non-slip trainers that you don't mind getting wet, no Crocs or sandals. Electronics can only be taken if they are sealed in waterproof containers. If water levels are high or it's raining the tour will be cancelled and rescheduled.